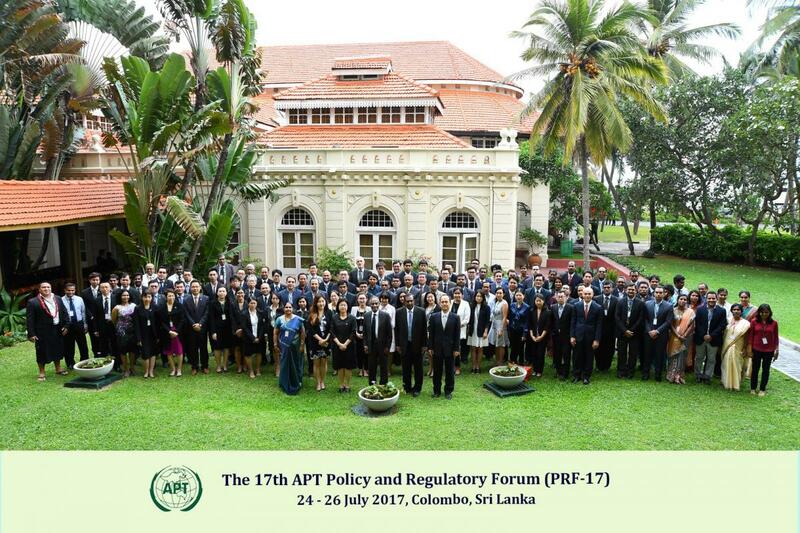 The Asia-Pacific Telecommunity (APT) organized the 17th APT Policy and Regulatory Forum (PRF-17) from 24 to 26 July 2017 in Colombo, Sri Lanka. The forum was hosted by the Telecommunications Regulatory Commission of Sri Lanka (TRCSL). The overall objective of PRF-17 was to bring the telecommunications and ICT policy makers and regulators from the region together to a common platform for a dialogue on issues faced by as a result of the changes taking place in the telecom and ICT sectors, and to provide an opportunity to share and address key issues of concern to the APT Members as well as facilitating intra-regional collaboration on policy and regulatory issues as required. Please login to view this item.